I still remember my 10th grade Biology teacher explaining that because blonde hair is a recessive trait it will slowly vanish off the face of the earth. Recently I read a news article with a similar claim, and had an argument with a few biology and genetics majors. So I wrote a simulation. TraitSim is an animated toy for exploring random, neutral gene proliferation with brown and blue eyes as an example. I also wrote a python version of the simulation and ran it tens of thousands of times. Thanks pypy for the 8.3x speedup! 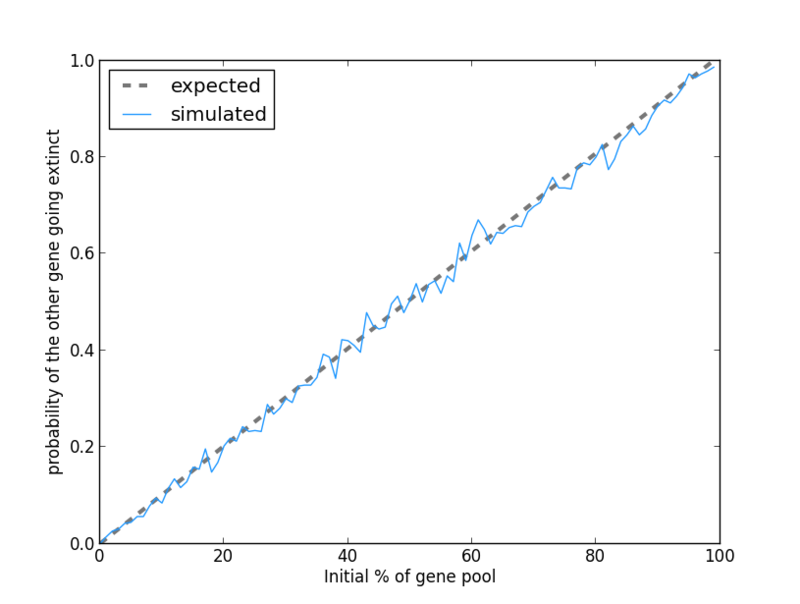 Surprisingly the chance to win the gene-race is linear with the gene's initial prevalence as can be seen in the following graph thanks to matplotlib. 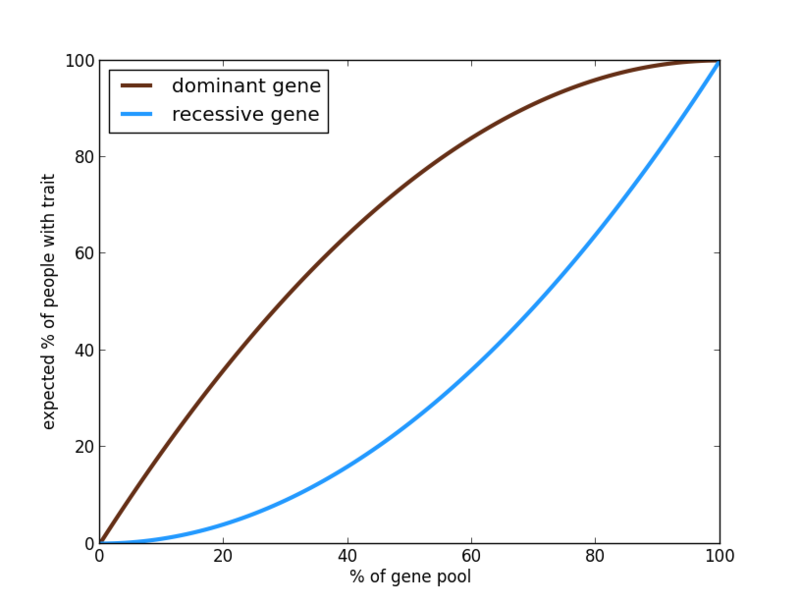 The thing with dominance is that it affects the gene expression which can be seen in the following graph: And here's the source that generated these from the data. There's more information in the project page on github. These github pages are strange creatures which I'm not sure how to work with yet. Can I modify the CSS or structure somehow without losing the benefit of the page generator? 07 Oct 2012 » Is selling placebos ethical?